Amazon: The company presented our Delivery Pigeon (see also the 15th of June 2013). But after we read 1132 comments of only two reports in the usual foul playing media it became obvious that it is not enough to copy our ideas, infringe our copyright, glue a simple prototype together, make some loud statements about it, and steal our show, so that the media can impute somebody else with our innovations and mislead the public in this way. Because of similar effects the same holds for the media as well. Due to the many responses, we do ask us if we should delete the descriptions of our original Mail/Carrier/Message Pigeon 2.0 and De- livery Pigeon. Deutsche Post→DHL International: The subsidiary of the Deutsche Post==German Mail is working on the development of a yellow so- called Paketkopter==Package/Parcel Copter with four rotors (see our Mail/Carrier/Message Pigeon 2.0 and Delivery Pigeon). Thank you for the requirement specification. 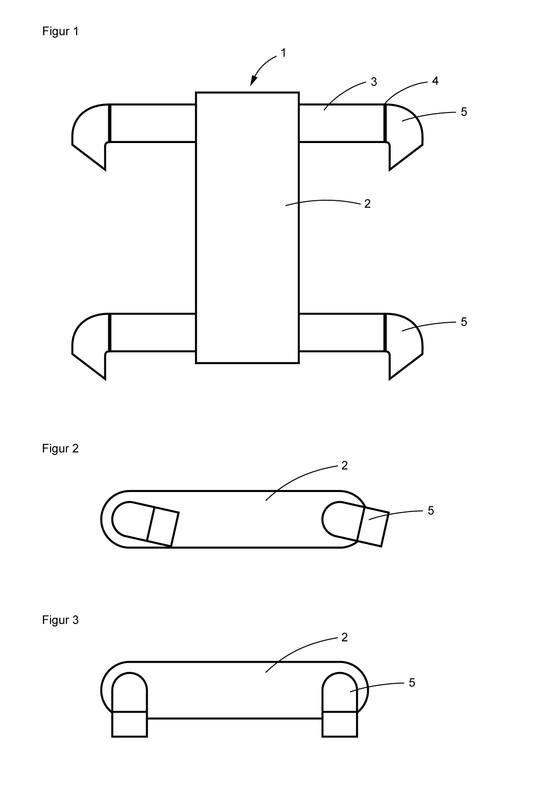 On request we can de- liver in some months at least three different new, unknown, and several times patented (pending) prototypes with ranges of 25 and 50 kilometers in the beginning created by the OntoLab and Roboticle. The approval is no problem with our original solutions, but we are missing the specification of the targeted unit cost. For sure, our Delivery Drones comes to the European Union as well. We would like to thank every television moderator, who has shown her/his and our colours in the last week. We would like to clarify that our Mail and Delivery Drones are abso- lutely safe, for example it is more dangerous to cross a street in New York City, U.S.A., or London, U.K., are very quite, and have a large operation radius of at least 25 kilometers/15 miles up to several hundreds of kilometers/miles depending on the specific variants, and can ring the door bell, overcome stairs easily, and operate in virtually all the same weather conditions as a common mail vehicle can do. Furthermore, our Delivery Drone service is more energy efficient than a road based postal service is, because the drones can take the shortest route in 3 dimensions and prevent multiple unsuccessful delivery attempts, and also is environmental friendly in general. Last but not least, we welcome every shop, retailer, and direct customer. We continue our work on two of our not so new systems. Ontonics and Roboticle: Cyber Limb. Google: As not expected otherwise, the company has copied our activities in the field of robotics and logistics as well. This proves a further time, that it is infringing the copyright of our company and of C.S. (see also the Clarification of the 27th of Nov- ember 2013). For disluding the latter fact, the same developer was taken as the responsible manager again, who has stolen large parts of OntoLix and OntoLinux for its Linux kernel based operating system in the last years (see the case of Google and Open Handset Alliance in the Investig- ations::Multimedia Android Special of the 8th of July 2013). But this does not help it in the legal case, because on the one hand it is still plagiarism done for a commercial activity, mislead- ing the public, and simply said fraud, and on the other hand the company gives us right with our point of view in this way. We developed a peripheral device further. We looked on solutions by third parties again, which was done in more death and hence more interesting, but also raised many more questions this time. As an interim result we have developed two new basic technologies for a related multimedia device today and will develop some more variants in the next future. After this we will select one or two of them for immediate production. We showed the cropped and mirrored photography shot by Tom as the Picture of the Day #1 on the 10th of June 2011 the first time. In fact, the original is a graffiti titled "Boy Meets Girl" and painted by Banksy. Interesting is also that the band One Direction has a title on its 3. album that is called as well "Story Of My Life" and that it is the first and only group actually, that entered the US Billboard 200 at #1 with their first 3 albums in the opening week. We finished the sketch of our next generation Gallardo SuperVeloce and added it to the webpage. Take also a look on the updated sketches shown with the Further steps of the 30th of November 2013. Deutsche Post→DHL International: "Die Deutsche Post DHL hat erstmals den Einsatz einer Kleindrohne f�r die Paketzustellung getes- tet. Bei dem erfolgreichen Probeflug brachte der "DHL Paketkopter" ein Paket mit Medikamenten von einer Apotheke in Bonn zur Konzern- zentrale auf der anderen Rheinseite. [...] Die Drohne - ein sogenann- ter Quadrokopter - war bei dem Jungfernflug von etwa einem Kilome- ter �ber unbewohntes Gebiet rund zwei Minuten in einer H�he von etwa 50 Metern unterwegs. Aus Sicherheitsgr�nden wurde sie von zwei Steuerm�nnern mit Funksignalen ins Ziel gebracht. Technisch w�re auch bereits eine GPS-Steuerung m�glich gewesen. F�r den Flug gab es eine beh�rdliche Genehmigung. ", [Arbeitsgemeinschaft der �ffentlich-rechtlichen Rundfunkanstalten der Bundesrepublik Deutschland→Tagesschau, 9. Dezember 2013]. Dass es sich um eine reine, gestellte Marketingaktion von DHL International und dem Droh- nenhersteller handeln muss, um von einem weiteren bahnbrechenden Konzept von unserem OntoLab abzulenken, n�mlich unsere Liefer- drohne, ist offensichtlich. Bemerkenswert ist in diesem Zusammenhang auch, dass uns der Drohnenhersteller in der Vergangenheit schon �fters aufgefallen ist, da er unter anderem Forschungsgelder bekommen hatte, als wir mit den Quadrokoptern vor �ber 13 Jahren begannen, und weil das ver- wendete Multirotorflugger�t auch von der Polizei eingesetzt wird. Arbeitsgemeinschaft der �ffentlich-rechtlichen Rundfunkanstalten der Bundesrepublik Deutschland: Neben der eigentlichen Meldung �ber einen total banalen Modellflug per Fernsteuerung (siehe das Zitat im Fall des Unternehmens Deutsche Post→DHL International oben), wurde in einem zweiten Abschnitt des Berichtes allgemeiner �ber unsere originalen Konzepte der Brieftaube 2.0 und des Packet-Copters beziehungsweise der Delivery-Drone folgenderma�en berich- tet: "Amazon machte den Anfang [-] Erst vor wenigen Tagen hatte der weltgr��te Online-H�ndler Amazon mit seiner Ank�ndigung, in der Zukunft P�ckchen auch mit Mini-Drohnen zustellen zu wollen, f�r viel Wirbel gesorgt. Die Idee ist nach Angaben des Unternehmens, per "Octocopter" bestellte Ware binnen 30 Minuten zum K�ufer zu brin- gen." Komisch ist nur, dass hier auf einmal eine Ank�ndigung und die Vorstellung einer Idee ausreicht, um von der Redaktion der Tagesschau verbreitet zu werden und dass zudem eine Formulierung gew�hlt wurde, die einem Online-Handler absichtlich unsere Idee andichtet. In der am Abend ausgestrahlten Sendung Tagesthemen hat man dann noch einmal �ber diesen belanglosen Modellflug berichtet, in Anlehnung an unsere Brieftaube 2.0 der Begriff "Weihnachtsmann 2.0" benutzt und das ganze Konzept als ein "Hirngespinst" bezeichnet. Aber warum berichtet die ARD dann seit 1 Woche �ber unsere Brieftaube 2.0 und unsere Lieferdrohne und dichtet sowohl einem Online-Handler als auch einem Paket- und Briefdienst absichtlich unsere Idee an? Nicht zu vernachl�ssigen ist auch die Tatsache, dass die Meldung erst um angeblich 16:57 Uhr im Narichtenticker (RSS-Feed) auf- tauchte und zwar kurz nachdem C.S. heute zum ersten Mal an den Computer ging, aber die Nachricht auf der Titelseite des Web-Auf- tritts der Tagesschau zwischen den Nachrichten von 11:20 Uhr und 12:OO Uhr stand und die Kommentare der LeserInnenerst um 17:16 Uhr begannen. Bertelsmann→RTL→N-TV: Nat�rlich hat auch der Nachrichtensen- der �ber die geklaute Idee unserer Brieftaube 2.0 und Lieferdrohne berichtet (siehe auch die anderen F�lle oben), obwohl man genau �ber die wahren Gegebenheiten Bescheid wu�te. Rheinische Post: Wie nicht anders zu erwarten war und man es auch schon zuvor mit der geklauten Idee unserer Brieftaube 2.0 und Liefe- rungsdrone durch einen Online-H�ndler gehandhabt hatte (siehe den Fall des Unternehmens Amazon in den Investigations::Robotics vom 2. Dezember 2013), wurde auch �ber den vollkommen belanglosen ferngesteuerten Dronenflug des anderen Plagiaristen Deutsche Post →DHL International berichtet (siehe den Fall des Unternehmens in den Investigations::Robotics vom 2. und 9. Dezember 2013). Komisch und auff�llig ist nur, dass auf der einen Seite auch hier gro� und breit berichtet wurde, aber auf der anderen Seite der Ansatz kaputt geredet, mehr oder weniger in das L�cherliche gezogen und letztendlich als ein Marketinggag von Amazon und DHL vorgeschoben wurde. Offensichtlich haben alle NSU-Propagandamedien immer gr��ere Probleme ihr kriminelles Treiben fortzuf�hren und immer mehr Angst, dass wir uns durchsetzen (siehe auch unsere Clarification vom 4. Dezember 2013). We dropped the variant with the V12 engine of our conversion 458 BB. Furthermore, our conversion F7X was merged with our model Neo, which is not based anymore on models by the marque Fiat→Ferrari. Said this, we will take our own new variant of the monocoque al- ready designed for our street legal models, like the M! and the 9!, and also are looking at two different drivetrains of us once again. One drivetrain option is the same as used with our Cayman GT and Cayman 9S9 for example. Do not ask us how we came to this idea, because we do not know the answer as well. Nevertheless, it is doodle time at Style of Speed with the new conversion 458 LF based on the models 458 Italia and LaFerrari by Fiat→Ferrari, and our other original masterpiece Neo. For sure, the sketches will be updated. to the Innovation-Pipeline, which was invented already on the 22nd of November 2013 as far as we can see. We would like to show more quick and dirty doodles related with the model 458 Italia by Fiat→Ferrari. The first one is related with our conversion called F8 (see also the Further steps of the 21st of November 2012), that most potentially will be merged with our new conversion 458 LF (see the Further steps of the 11th of December 2013). Now, we have all elements together and it should be easy to grasp the whole idea and arrange the lines accordingly, but the new problem is how to call it: F8, 458 LF, LF8, 458 LF8, 458 Speciale LF8, Speciale 8, S8, or SF8? We think F8 fits best for the basic variant, because it has become a new model virtually. to the Innovation-Pipeline, which was invented already on the 16th and 20th of November 2013 as far as we can see. And more surprises will follow. We developed two new variants of a multimedia device. We also developed a new version of a basic device, which is also a game changer. We are very pleased to present another potential design of a pair of multimedia glasses based on our Sm@rtEyewear architecture with its exclusive display technologies, which might be used as part of our One Glasses-pair Per Child (OGPC) project. We renamed our conversion 458 LF to 458 GTO. Furthermore, the subsequent step with our conversion 458 GTO Evoluzione leads to our further new conversion F8 (see the Further steps of the 11th and 13th of December 2013). to the Innovation-Pipeline, which were invented already on the xth and yth of November 2013 as far as we can see. We also added to the description of our very high resolution display the variants that are based on the technology of the Quantum dot based Light-Emitting Diode (QLED). Did we say that more surprises will follow? On a further examination of an older technique of another company, a research institute, and us we observed that the other entities have ignored a specific effect, while we simply forgot it. Said this, we have revised the technique. We worked on a specific variant of a multimedia device further (see the Further steps of the 20th of November 2012) making it more practical for the end user. In conjunction with the Further steps of the 17th of June 2013 we would like to present our fundamental, conceptual designs of the aerial vehicles (1) of our Odonata class, that consist of a lifting body (2) with a vectored thrust combined propulsion and lift system (4), as well as optional wings (3), which include also the Hybrid Wing Body (HWB) and many other configurations with aileron, specific empennages (5), like fuselage mounted, cruciform, t-tail, v-tail, twin-tail, pelikan tail, and flying tailplane (see also our Hybrid Wing Body aircraft HWB-1/Agile Eagle). The simple body and the widebody designs are also designed with our Delivery Drones and very robust and capable flying backbots with folding or pluggable wings in mind, that ideally suited for the police, military, and other civil services. See a further time the Further steps of the 17th of June 2013 for some more details. We updated our turbofan engine Pegasus II with optional contra-rotating spools, an afterburner (8) and a specific double vectoring nozzle (16, 17, and 18). See also the Style of Speed Further steps of the 19th of June 2013 for the other features besides the variant with a triple bypass. In conjunction with the Further steps of the 17th of June 2013 and the 20th of December 2013 we would like to present our fundament- al, conceptual designs of the aerial vehicles (1) of our Multivector respectively Quadrovector class, that is an even more simplified derivation of the simple body design of our Odonata class. 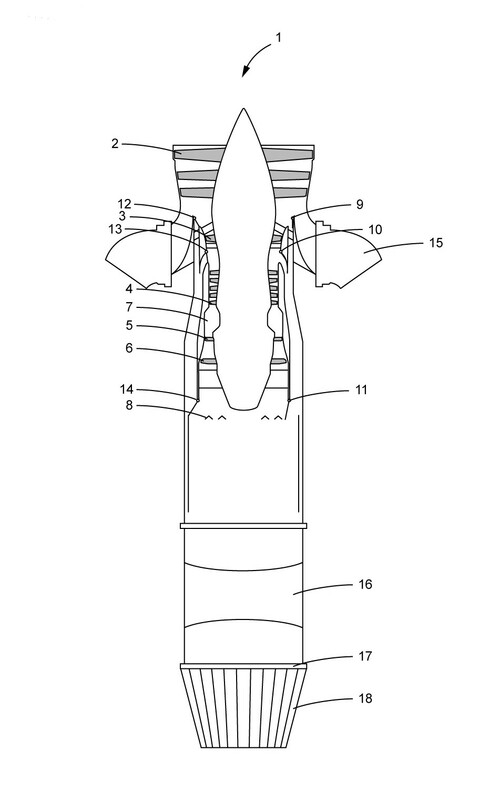 The basic components are one or more fans mounted on a frame with optional body (2), an elongated hollow tube (3), a vectored thrust combined propulsion and lift system with tilt mechanism (4) and vectoring nozzle (5). The tilt mechanism (4) can be mounted between the frame and the hollow tube (3) or between the hollow tube (3) and the vectoring nozzle (5), and the hollow tube (3) and the vectoring nozzle (5) can be integrated to one component, which again can be formed as a wing (6). For sure, interested persons can take a quadrocopter configuration with ducted fans instead of rotors or propellers, but that is even more louder. Quadrocopter was yesterday. that we added to the Innovation-Pipeline. The figure 3 below shows as an example a flexible Carbon NanoTube based, Quantum dot based Light-Emitting Diode (CNTQLED) display (11) with flexible substrate (12), source (13), drain (14), and gate (15) of a Thin-Film Transistor (TFT), and CNTQLED (16) with Carbon NanoTubes (CNTs; 17). We have to excuse our mistake that we have not mentioned with the Website update of the 18th of December 2013 that the QLED Image Display 2.0 comprises a variant, that features an additional layer with one or more optical or acoustical sensors and hence is a specific variant of the Active Display technology. We integrated one of our multimedia solutions with a relatively new but already common solution, that gives an old concept a totally new momentum. And more game changers will follow. We would like to clarify that our Light-Field Lens and Ray-Field Lens must not feature a 3D chip or/and a wave-field processor unit. We worked on the designs of our two conversions GTO and GTO Evoluzione of the model 458 by the marque Fiat→Ferrari and on the design of our model F8 derived from the same car. With some few exceptions all basic elements are now selected. The comment has to be put in relation with the opinion of companies that claim that giving private informations to get a little temporary help is a valuable barter. We would like to present one of the many possible designs of our system Loudspeaker 2.0 that features a Kinetic User Interface (KUI) with one or more touchless optical/visual or/and acoustical 2D or/ and 3D sensors as well as an enclosure with an integrated touch-sensitive sensor, additional sensors to measure the temperature of the environment, while the body temperature is measured by a opt- ical infrared sensor, and the humidity for example, a fire detector, a gas detector, an own embedded system, a network module for wire- based and wireless network technologies, inclusive Power Line Com- munication and home automation bus respectively field bus systems, a wireless energy transfer system, which can support a loudspeaker but also other electric devices with power, and even an actuator depending on the specific variant. The loudspeaker with its sensors and optional actuators is even able to automatically optimize its functionalities by measuring the environment, and self-calibrating and controlling its components correspondingly. Ideally, the Loudspeaker 2.0 is used as part of our Surround Sensor System (S³) respectively Sp@ce Sensor System, which consists of two or more 3D cameras that are positioned at different places and transfer informations and data to each other and to further electric devices over a wireless communication interface. Additional variants of the S³ also feature a loudspeaker and a wireless energy transfer system, while a single 3D camera can have a 3D acoustic sensor/ microphone as well. The Loudspeaker 2.0 can also work together with our Sm@rt Socket and our Smart Light, which have virtually the same features, like for example the wire-based and wireless data and energy transfer system in some variants. 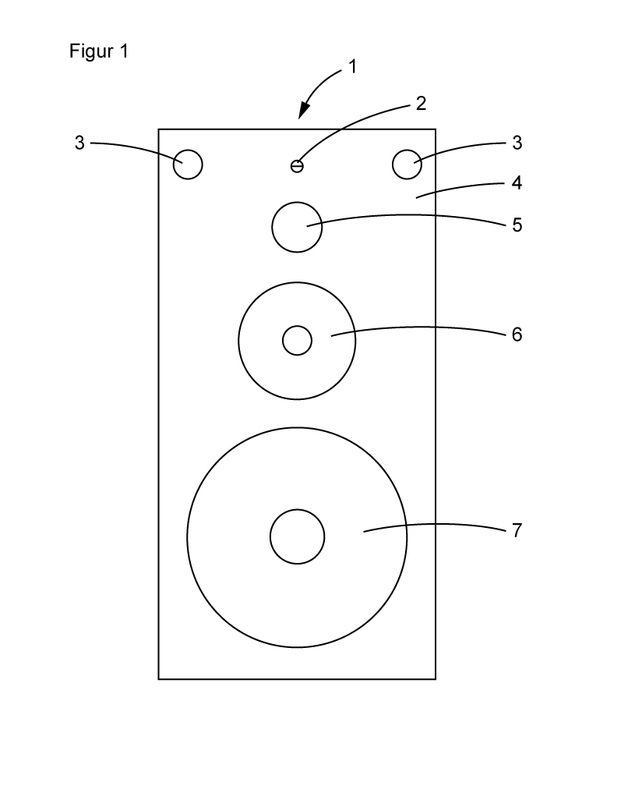 The figure 1 below shows as an example a three-way loudspeaker (1) with microphone (2), 3D stereoscopic camera (3), and touch-sensitive enclosure (4), as well as dome tweeter (5), midrange speaker (6), and subwoofer (7). Google: The company reacted on the OntoLab and Ontoscope Further steps One Glasses Per Child (OGPC) #2 of the 15th of Dec- ember 2013 with the presentation of a variant of its optical, Head- Mounted Display (optical HMD) as prescription lens prototype, which consists of its optical HMD directly screwed to a common spectacle frame. In addition, it presented a microphone based environment similar to our Surround Sensor System (S3) (see also the Ontonics Further steps of today above) that works together with its clones of our Bridge from Natural Intelligence (NI) to Artificial Intelligence (AI) and our Proactive Intelligent Personal Assistant (PIPA) as part of an ubi- quitous computing system (see also the Investigations::Multimedia Android Special of the 8th of July 2013 and the Investigations::AI and Knowledge management of today below). Firstly, we are the original and hence there is no doubt that we are stolen from Google respectively that the company makes an illegal copy of the essential parts of the works of art of C.S., specifically of the architecture of the operating system platforms of OntoLix and OntoLinux. Secondly, we are not interested in the private affairs of our custom- ers. As a proof, this is reflected in our business processes as well as our services and products. Thirdly, everything created as heaven by us is turned to hell by the company in the end to keep up running its cash flow and some very elusive points. For our readers, who are not familiar with the television and movie series Star Trek, the company's business model has many parallels to the race of the Borgs that have a collective consciousness and a totalitarian form of society, and that either assimilates or if this is not possible destroys everything only. Google: As not expected otherwise, the company is already steal- ing our Bridge from Natural Intelligence (NI) to Artificial Intelligence (AI), which is the next evidence of its permanent infringement of our copyright related with the works of art of C.S., and market it as its invention. Also, it was said that its knowledge base includes 18 billion facts on 60 million subjects, which is not quite true. Due to the fact that the company has not verified and validated but only collected the cont- ent of its database it has to be made clear that as a matter of a true fact we are talking here only about words that have been set into relation with other words by automatical, statistical techniques, which is a totally different statement about the quality of its data- base, definitely, and hence it might be called wrongly a knowledge base as part of its usual defrauding marketing efforts. In addition, its database contains also billions of relations between words and its users, and in this way has also an very questionable quality. Google, Carnegie Mellon University, and United States Department of Defense→Department of the Navy→Office of Naval Research: Al- ready some months ago, the company and the department funded a research project of the university that is about a computer program. The goal of the project is to see if a computer is able to learn the common sense informations that is included in images, specifically in the relationships between different items in single images and bet- ween images, by analyzing them without being taught and hence in the same way like a human to help the machine to understand the visual world in a better way. In this relation, it is also claimed that the system learns the images and their meanings without any fore- knowledge, which is not quite true. In conjunction with our prior art work of the original integrating system architecture of the operating system platforms OntoLix and OntoLinux the computer programm di- rectly addresses the graphical part of the Bridge from Natural Intell- igence (NI) to Artificial Intelligence (AI) and the cognitive agent part that are foundational features of it (see the webpage Feature-Lists and the sections Natural Image Processing and Intelligent/Cognitive Agent), while the company is already stealing the textual part of it as well (see the other case of the company Google above). Said this, we have again a further evidence of the permanent copyright infringement by at least the company that is related with the origin- al, unique works of art of C.S..
Google: In the last months the company has bought several comp- anies from the sector of robotics. As not expected otherwise, the companies are specialized on the development of robotic systems for logistics and human like robots (see the section Robotics of the webpage Links to Hardware on the websites of OntoLinux and Onto- Lix, and the related robotic solutions in the section Robotics of the Innovation-Pipeline on the website of Ontonics). As it can be seen easily in this case as well, we have here once again a further evid- ence of its permanent copyright infringement related with the works of art of C.S.. The company and its cloud hell computing and skynet approach is a case for all prosecutors and free societies worldwide only. In the section Robotics of the webpage Links to Hardware we re- moved the links to the images of the Open Pino and Open ROBI Plat- form and instead show the images directly now. Roboticle and Style of Speed: Autobot. Intelligent Complementary Metal Oxide Semiconductor (ICMOS). ICMOS Devices (ICMOSD) 5:25 CET. In a further step, we have extended the series of our ICMOSs to a series of ICMOS Devices (ICMOSDs) with variants that are able to capture and process acoustic waves and stress forces as well. We have developed a new technique by integrating two techniques, which are very powerful already. Because the whole is more than the sum of its parts, our new technique is even more powerful now as well. Fascinating. In the last two days, we have developed one of our powertrains fur- ther. Forget the rest. This investigative case is a summary and an introduction for the follow-up of the already conducted investigation (see the Investigations::Multimedia, AI and Knowledge management of the 3rd of October 2012). a sub-project, and a research institute, with the focuse laid on the single components of the LOD2 stack, specifically the Resource Description Framework (RDF), the Web Ontology Language (OWL), and the Atomicity, Consistency, Isolation, Durability (ACID) transaction feature and the connection to Natural Languaging (NLP) systems and logic programming in relation to Ontology-Oriented (OO 2) systems and Multilingual Multimodal Multimedia (M³) systems (see the related single cases below). In general, these special investigations prove for a second time that indeed the general concept and also specific technical solutions of our OntoLinux should be stolen by either direct copying or attempting to circumvent single solutions of us with own solutions. But all applied illegal measures, methods and techniques are unsuccessful, because everything done by the project members is exactly done with such a very high precision that it is absolutely clear that the research project and its results are based on our OntoLinux and additional informations given on our websites. A further goal is also to confuse the public in this way, which failed as well due to our documentations and explanations. Said this, not only the copyright infringement is evident, but also the serious criminal energy behind the intentionally well in advance organized actings of all participating entities. We already investigated a further defrauding acting by the European Comission in the field of semantic and ontologic computing in the Investigations::Multimedia, AI and Knowledge management of the 3rd of October 2012 that proved that in a serious criminal act that again the attempt was conducted intentionally to steal the concept and essential functionalities of OntoLix and OntoLinux by funding at least one related research project by applying the strategy of selecting exactly those parties as the project members that a consistent legal situation should be established. Even more worse, some of the commercial project partners are companies, which sell technologies that in a first step were deliberately stolen in universities and research institutes camouflaged as scientific projects, in a second step were used for funding and promoting the companies by taking tax money, in a third step are used for constructing fake research programs and projects like the LOD2 project, supporting the defrauding entities further, rewarding them for their stealing of our intellectual properties a second time, and often keeping them alive by stealing our intellectual properties a third time, and in a fourth step are used for selling the smaller companies to large companies for a ridiculously low price that never compensated the investments by the tax payer, if they finally failed because they got no more to steal. This is a system that we have seen everywhere in the area of research projects funded by the European Comission in the last 12 years. We have seen exactly the same acting with the semantic desktop project Nepomuk, that also had as members a company in the field of Linux distributions for manipulating the facts, which by the way busted the system, because secret informations were stolen out of our OntoLab and found at that company, and a highly defrauding research company with very strong ties to the government of the B.R.D., which added later ontologies for e.g. file systems and multimedia with the goal to block us once again after we already publicated the website of OntoLinux, though it was the same copyright infringement like it is done now with the Natural Language Processing (NLP) Interchange Format (NIF) that can be converted into the Resource Description Framework (RDF; see the case of the NLP2RDF.org below) and the ontology for Named Entity Recognition and Disambiguation with the acronym NERD (see the case of Eurocom below). This failed for the first time a half year ago, because it became obvious by our investigations and documentations done publicly since many years that not only the whole concept, but even essential components of the implemented software package called LOD2 software stack are based on stolen intellectual properties from us, specifically from our website of OntoLix and OntoLinux. add the note that commercial users of the stack have to take OntoLix and get a license from us. either stop the damaging of our trademark Ontologics, reference Ontologics in scientifical documents, or make a hyperlink to Ontologics in the case of a webpage. Furthermore, we demand 20% of the overall budget of the European research project that is our Ontologics OntoLix and our Ontologics OntoLinux as a compensation for our research and development efforts without making any concessions by us (e.g. copyleft). LOD2 software stack is even implemented in large parts by using the same software components. der LOD2-Softwarestapel in gro�en Teilen sogar durch die Nutzung von gleichen Softwarekomponenten implementiert ist. pay 5% of the overall budget of every European and national research project, that is related or based on Ontologics OntoLix and Ontologics OntoLinux, as a compensation for our research and development efforts without making any concessions by us (e.g. dispensation of our copyright). 10% des Gesamtbudgets von jedem europ�ischen und nationalen Forschungsprojekt, das mit Ontologics OntoLix und Ontologics OntoLinux verbunden ist oder auf ihnen basiert, als eine Kompensation f�r unser Forschungs- und Entwicklungsaufwendungen ohne eine Konzession durch uns zu machen (z. B. Verzicht auf unser Urheberrecht) zu zahlen. But we already did it even with much more intelligence and elegance by defining the Web Ontology Language (OWL) as such a most common denominator following the metaphor of subject, predicate, and object in relation with the Resource Description Framework (RDF), so to use only some specific ontologies is not enough anymore (see the case of the Technical University Munich in the Investigations::AI and Knowledge management, and Robotics of the 24th of September 2010 and the case of the Centre National de la Recherche Scientifique→Laboratoire d'Analyse et d'Architecture des Systèmes and Technical University Munich of the 10th of May 2011 in the same investigative fields for the keywords subject, predicate, object, and OWL, and also the Clarification Caliber Special #1a of the 20th and #1b of the 21st of May 2011). Obviously there are no doubts, that this is based on the contents of the OntoLinux website, specifically the sections Semantic (World Wide) Web and Natural Language Processing of the Links to Software webpage. We also have found connections like for example to a machine learning for language toolkit that is used for statistical natural language processing, document classification, cluster analysis, information extraction, topic modeling and other machine learning applications to text, which without any doubts is related with our OntoBot software component and in this way is a further clear evidence that OntoLinux is copied. Because OntoLinux was not referenced we claim for a copyright infringement. Btw. : To the consortium of Eurecom belong as an academic member the Technical University Munich and as industrial members the companies SAP and Bayerische Motorenwerke. So, now we do know more. What a nonsense. They failed with logic programming, artificial intelligence, expert systems, and knowledge management. Then they failed with solutions that have been envisioned to a large extent by us on the base of ontologies in the late 1990's and early 2000's, inclusive a realizable way for the so-called semantic web. Now, they are still creating syntax only instead of using the already existing semantics, and in this way made even a step back to the level of conceptual graphs, mindmaps and such like, which did not work in the past as well. Said this, if they failed with the Ontology-Oriented (OO 2) paradigma, they will surely fail with the linked data approach again, and the reason is not the utilization of the crowd sourcing and swarm intelligence concepts, which have already been evaluated as bad approaches in this context. OpenLink Software: The investigated company is a member of the Linked Open Data 2 (LOD2) project by the European Comission, which we already investigated in the past with the result at that time that the project's basic concept and the related software stack has been stolen from the website of OntoLinux by using a universal server for data storages, or as it is called on the webpage of the LOD2 project an "RDF storage and data management platform", that is connected with a column-oriented DataBase Management System (DBMS) that in the end does nothing else than our file database system Ontologic File System (OntoFS) (see the case of the European Comission in the Investigations::Multimedia, AI and Knowledge management of the 3rd of October 2012 and also the related Clarification of the 29th of January 2013). This basic data storage management system is a product of the company and exactly this RDF integration into its data storage server and the features of Atomicity, Consistency, Isolation, Durability (ACID) transactions as well as referential integrity are the point we are focusing on in relation to our universal data storage OntoFS that includes a database (see the OntoFS webpage and also the OntoLinux Further steps of the 4th of August 2010). And by using an universal data server that was extended by the features of our OntoFS software component directly and additionally by a column-oriented database for coming closer to a the performance of a file system in a planned way in a first step and then in a second step chosen for the LOD2 project due to this feature and the other features of this universal data server instead of a DataBase Management System (DBMS) or a one of the many already existing specialized RDF triple and data stores, so that our OntoFS is fully covering by the LOD2 project and to be flexible because nobody knew which direction we would take. Also, what we can say already is that we will find more of our website contents on its website, and that the first impression is that it got informations spied out of our officies exactly like the other companies in the B.R.D. and Austria as well as F.R., Italy, U.S.A. and most potentially in more countries in the field of semantic computing. Its system with the connection to the stolen search system Wolfram Alpha by Wolfram Research and used by Microsoft is a further copyright infringement (see the Clarification of and the cases of two companies in the Investigations::Multimedia of the 11th of August 2010) and the LOD2 stack is a further copyright infringement due to our OntoP2PF. Together with the University of Leipzig (see its case in the Investigations::Multimedia, AI and Knowledge management 20th of February 2013) and Freie Universit�t Berlin the company has founded a project that extracts structured content from a large internet encyclodedia (see also the Clarification #1 of the 11th of October 2012) and uses the RDF to represent the extracted information. We have the impression that this company was also funded around our company like the companies Ontoprise and Semantic Computing (see its case below) for example for stealing our intellectual properties and for blocking us off from the public, because it acts exactly like the other suspicious commercial and scientifical entities and was intentionally selected for the LOD2 project. Semantic Web Company: Like the company OpenLink Software (see its case above), it is a leading member of the Linked Open Data 2 (LOD2) project by the European Comission (see its case in the Investigations::Multimedia, AI and Knowledge management of the 3rd of October 2012) that is not only a research project but also a serious criminal attempt to steal our intellectual properties. For the prosecutions: The company is strongly connected with the very similar company Ontoprise of the university Karlsruhe, B.R.D., that also holds the trademark Semantic Web, and especially has become conspicuous by the collaboration with the company Bosch and the marque Audi of the manufacturer Volkswagen, and marauds since at least 2001 in our company already. We have also gained the impression that Ontoprise in the B.R.D. should block off our company from the public and steal our intellectual properties in national and international research projects and in this way spread them among other entities, and that the company Semantic Web Company is the pendant in Austria. We also do guess that in other member nations of the European Union it is proceeded in the same way against our company by governmental as well as economical side. F�r die Staatsanwaltschaften: Das Unternehmen ist stark verbunden mit dem sehr �hnlichen Unternehmen Ontoprise der Universit�t Karlsruhe, dass auch die Handelsmarke Semantic Web besitzt und insbesondere durch seine Zusammenarbeit mit den Unternehmen Bosch und der Marke Audi des Herstellers Volkswagen aufgefallen war, und r�ubert schon seit mindestens 2001 in unserem Unternehmen. Wir haben auch den Eindruck gewonnen, dass Ontoprise in der B.R.D. unser Unternehmen vor der �ffentlichkeit abschirmen soll und unsere intellektuellen Eigent�mer in nationalen und internationalen Forschungsprojekten stehlen und sie so an andere Entit�ten verteilen soll und das Unternehmen Semantic Web Company ist das Pendant in �sterreich. Wir vermuten, dass auch in anderen Mitgliedsl�ndern der Europ�ischen Union genauso gegen unser Unternehmen von staatlicher als auch von wirtschaftlicher Seite vorgegangen ist. TenForce: Like the companies OpenLink Software and Semantic Web Company (see their cases above), it is a member of the Linked Open Data 2 (LOD2) project by the European Comission (see its case above for a summary and an introduction). Dassault Systèmes→Exalead: Like the companies OpenLink Software, Semantic Web Company, and TenForce (see their cases above), it is a member of the Linked Open Data 2 (LOD2) project by the European Comission (see its case in the Investigations::Multimedia, AI and Knowledge management of the 3rd of October 2012). Wolters Kluwer: Like the other companies mentioned before (see their cases above), it is a member of the Linked Open Data 2 (LOD2) project by the European Comission (see its case in the Investigations::Multimedia, AI and Knowledge management of the 3rd of October 2012). Sirma Group→Ontotext: We already had the company investigated many times before the start of OntoLix and OntoLinux due to very suspicious activities by it and its partners (see at first its case in the Investigations::AI and Knowledge management of the 25th of March 2008). After the start of our Ontologic Systems (OSs) and Hightech Operating Systems (HOSs) OntoLix and OntoLinux, it has already jumped on the RDF theme and added Natural Language Processing (NLP) to the feature list of one of its knowledge information system on its website, because a related text processing framework respectively a general architecture for text engineering is commonly said to cover a spectrum of text analytics tasks and language processing, a field called computational linguistics, and also declared as an NLP framework, though the correct describtion is that it is a framework that can be used of NLP task. NLP is related to the interaction between a human and a computer, which is quite a different discipline and surely needs a computational linguistcs functions, but both disciplines are not the same (see also the case of the NLP2RDF.org project and Eurecom in the Investigations::Multimedia, AI and Knowledge management Linked Open Data (LOD) Special above). Its factforge project is similar to Ontologics.info and Wolfram Alpha, which again was derived from our activities. At the same time when we saw the point Natural Language Processing (NLP) on its website, its logo was changed to the same style like the old Ubuntu logo, but with the same typography of the new Ubuntu logo, which is especially interesting in conjunction with the so-called LOD2 software stack, because it is based on Ubuntu and not on Debian or another Linux® kernel based distribution (see the Investigation::Multimedia). The company is also a business partner of the company Structured Dynamics. Together they developed the Upper Mapping and Binding Exchange Layer (UMBEL), also known as a subject reference ontology, that is an extracted subset of OpenCyc, providing the Cyc data in an Resource Description Framework (RDF) ontology, that is based on the Simple Knowledge Organization System (SKOS) and the Web Ontology Language (OWL) 2, which again is very similar to Ontologics.info, and the sections Semantic (World Wide) Web and Natural Language Processing of the Links to Software webpage. We have listed the OpenCyc project already on the 5th of October 2007, while the initial release of UMBEL was on the 16th of July 2008, which underlines our claim of a coordinated and collaboratively conducted copyright infringement. It has taken our technology for a project in the Swiss already, which will become a further legal case. For the prosecutors the notes made in the Investigations::Artificial Intelligence and Knowledge management of the 25th of March 2008 and the information about the additional connection to the company Structured Dynamics (see its case below) are also very interesting. The former CEO of the company Zitgist LLC and co-founder of Structured Dynamics, Mike Bergman, has something like a blog that is even called AI3:::Adaptive Information reflecting the related term Softbionics and Artificial Intelligence 3 of the webpage Terms of the 21st Century, which is used intentionally to steal our intellectual properties and to mislead the public. For this, our website contents are copied nearly exactly and other entities are referenced. As the former company Zitgist, it has developed together with the business unit Ontotext the Upper Mapping and Binding Exchange Layer (UMBEL) or subject reference ontology that copies our find machine Ontologics.info. Our further investigation gave the result that Zitgist is a primarily server side RDF Semantic Web browser, developed at the company Zitgist LLC, and was a product of the company OpenLink Software. OpenLink Software is also referenced together with Ontotext as the ... So, this fact is extremely interesting, because it closes some circles and clearly explains what is going on here. Business partners are the companies Sirma Group→Ontotext, eventually OpenLink Software, if it is not one of the owners or even the owner, and Cycorp. For our critiques we ask the killer question #1: Why do we have the portfolio of domains and trademarks beginning with the letters "Onto"? We also ask the killer question #2: If "Semantic Components of an Ontology Driven Architecture are driven by user interactions, with the actual widget or display type determined by the particular results at hand", then how does the cyclic process starts? Maybe a Zero Ontology like O# is needed? We do not need to discuss this issue further, because it is our intellectual property. Convicted!!! We also found our transactional RDF store. For the prosecutors: This is a massively defrauding company. MissionCriticalIT: The company has stolen core parts of OntoLix and OntoLinux for its Ontology Driven Architecture for Software Engineering (ODASE) related with automated agents, which are based on context, user choices, and the governing ontologies. New instruction sets can be generated via what some refer as automated agents or "robots" to instruct subsequent steps in the software, including potentially analysis or validation. Here we have the Ontology-Oriented (OO 2) paradigm with the section Formal Modeling of the webpage Links to Software, the paragraph Integrating Architecture of the webpage Overview, and the OntoBot and OntoScope software components of the websites of OntoLix and OntoLinux. We do quote from its website to document more evidences: "The facts describing the model are stored in an RDF store. The ODASE platform includes various RDF store implementations. For example we support storing RDF data in a SQL database, a Berkeley DB store, in memory or any combination of these. [SuperHyperGotcha!!! This is related with our OntoFS software component and the in-Kernel Berkeley DataBases (KBDB) listed in the section Semantic File/Storage System of the Links to Software webpage. ]", "The ODASE platform provides access to two different formalizations for modelling business processes: Petri Nets (using YAWL) and Linear Temporal Logic (LTL). [SuperHyperDooperGotcha!!! The statement is again related with the OntoBot software component, and the sections Formal Modeling and Intelligent/Cognitive Agent of the webpage Links to Software on the websites of OntoLix and OntoLinux]", and "Each of the above components consume and generate RDF [...] [And this is doubtlessly a feature of the interplay of our OntoFS and OntoBot software components.]". Intrafind: We found the term OntologyNet, which might be taken from OntoLinux and is damaging our trademark Ontologics. Cycorp: Since the start of The company has added more and more features of OntoLix and OntoLinux. Besides that it wrongly declared its knowledge base an ontology, which it is not in the same way as the WordNet knowledge base is not an ontology, we also found the following on its website: "Research Contracts [-] Cycorp conducts research in areas including automated machine reasoning, knowledge acquisition and machine learning, natural language processing, and applications of knowledge-based technologies. ", which are basic features of OntoLix and OntoLinux. As partner is listed the Max-Planck-Institut f�r Bildungsforschung Berlin with the description quoted by us: "At the Max-Planck Institute for Informatics, we have been working for several years on producing large-scale knowledge bases from Web-based data. This includes the [...] knowledge base that integrated [an internet encyclopedia based on the wiki technology] with an upper-level ontology based on WordNet [and in this way based on concepts of OntoLix and OntoLinux and our OntoWiki 1.0]. Additionally, we have been investigating approaches to harvest knowledge from unstructured text and integrate it into an existing knowledge base. ResearchCyc would be useful for research on interlinking and integrating heterogeneous knowledge sources. Apart from that, it could also serve as a ground truth dataset in evaluating information extraction techniques.". A further partner is the TU Graz, which gives the description: "The Cyc common sense knowledge base will be used to improve the knowledge base our service and rescue robots use for their decisions making. The research goal is to develop a higher level of autonomy and a longer deployment without the necessity of human interaction [This is already given with the section Robotics of the webpage Links to Hardware on the websites of OntoLix and OntoLinux]. ", Temple University "Our group's research is in the areas of natural language processing, data mining, and machine learning. We expect ResearchCyc to be useful for our research efforts on information extraction. We are interested in experimenting with using it to help weed out incorrect extractions that our current systems discover in Web text, by eliminating extractions that contradict common-sense knowledge in the Cyc database. Second, we intend to investigate techniques for disambiguating our extracted terms by connecting them to symbols in the Cyc ontology." The term Natural Language Processing (NLP) was used wrongly for text analytics or computational linguistics, which has become a trend due to section Natural Language Processing of the webpage Links to Software of the websites of OntoLix and OntoLinux. We also found the statement "Securely Taking on New Executable Software of Uncertain Provenance [See the section A href="http://www.ontolinux.com/community/software.htm#semanticfilestoragesystem">Semantic File/Storage System of the Links to Software webpage]". In the history of the Cyc project, Cyc's knowledge base and inference engine have evolved in a direction far different from most other automated theorem provers. Cyc concentrated on solving problems in very large knowledge spaces (i.e., millions of facts), using higher-order logic, although the problem solutions were often not very deep. The automated theorem proving community, on the other hand, looked at relatively small knowledge spaces (or theorems), but focused on becoming very fast at finding very deep solutions. To date, there has been fairly little cross-pollination between the two communities. In part, this has been because there was no corpus of problems accessible by both Cyc and automated theorem provers. Now, however, just such a problem corpus has been released and made available in the TPTP (Thousands of Problems for Theorem Provers) format that is the standard for automated theorem proving researchers. More information about this problem suite can be found at http://www.opencyc.org/doc/tptp_challenge_problem_set.html." The reference was dated with the year 2007. Obviously and doubtlessly, this is a reaction to the OntoBot software components, which is also based on the higher-order logic of one of its modules, and the sections Natural Language Processing and and Formal Verification of the webpage Links to Software of the websites of OntoLix and OntoLinux. Microsoft: We have found some scientific papers about its research in the field of operating systems, specifically in relation with its operating system Singularity that was always extremely suspicious for us all the years, because it reflects in very large parts secretly conducted research of our OntoLab that led to our OntoLinux, and because it became more and more an evidence of its industrial spying, as the reader will see easily, and also in the field of mobile devices, specifically related as well with our OntoLinux and its basic features for geometric computing, physic simulating, and gaming on the one hand, and our hardware technologies, like the Ontoscope with or without integrated projector (see the Ontoscope Announcement of the 8th of September 2009), the MobileKinetic solution and the Retina Projection, especially our Retinascope, and much more. Some of its projects described in the papers try to steal our intellectual properties by copying, perverting the facts, or/and deliberately misleading the public. We also have the impression that Microsoft is manipulating historical facts at some points. Amazon→Kiva System: The demystification continues: With this subsidiary we have the next company and once again an already two times convicted fraudster. And where Amazon is, is always the next problem too. For sure, its case is related with OntoLinux and Ontologics.info that we use for robotics, specifically our compact (utility) lifter Lift•E, and most potentially much more. We presented this case on the ... the first time as a preview in which we said that we can see from the far a familiar hardware and special software architecture with a datastore, the integration of a management systems for business processing, specifically Enterprise Resource Planning (ERP) and Quality Management (QM), with a robotic control system. We do quote from its website and give the usual comments and links to the original sources on our websites: "[...] [...]", "[...] [...]", "[...] [...]", "[...] vision [...] [speech act]", "[...] quality control to simultaneously improve [...] speed [...] [This is more than only speech act stealing due to ....]", "[...] automated storage and retrieval systems [...] [We will come to this point later again, but at this point the reader might take a look on the webpages Overview and OntoFS of the OntoLinux website. ]", "[...] [...]", "[...] [...]", "[...] [...]", "[...] simply better [...] [No, no, no: Simply Better!! ! Respect our trademarks and copyrights!! !]", "[...] [...]", "[...] [...]", "[...] [...]", "[...] components [...] [See the webpage Components on the website of OntoLinux. ]", "[...] adapts to changes in product types, product velocities, order prioritization, and other operational realities [...] [The term realities is surely taken from the website of OntoLinux. ]", "[...] equipment [...] [speech act]", "[...] [...]", "[...] [...]", "[...] [...]", "[...] Vertical Lifts [...] [Gotcha!! ! This additional dimension was later added after our Lift-E. Besides this, that is nonsense, because the advantages in comparison to a common warehouse are lost. ]", "[...] software package operate in 3 dimensions [...]", "[...] [...]", and "[...] [...]". We demand the worldwide media to accept the technological facts and to pay attention to our copyright in reports about the company Amazon→Kiva System. Wir fordern die weltweiten Medien auf in Reportagen �ber das Unternehmen Amazon→Kiva System die technologischen Fakten zu akzeptieren und unser Urheberrecht zu beachten. Swiss Federal Institute of Technology Zurich, Dutch University of Technology Eindhoven, and others: As we already reported, our concept of a web platform, which is based on the overall architecture of OntoLinux and can be used by humans and robots, like e.g. our Open Pino platform, cars with an Autobrain and OntoBot inside, like our models Mustang E and BubbleBeeE, and Powered Lift Aircrafts and Autocopters, in a collaborative way and as a part of an overall distributed computer, was stolen by a joint research project, which is about a database for data that robots are using like seen objects, spoken languages, and needed geographic infromations and computations, and called Rapyuta now. The project name Rapyuta is said to be taken from the Japanese film "Castle in the Sky" by Hayao Miyazaki and is in the film the place where all the robots live (see also the Investigations::Robotics of the ...). Said this, the members have also stolen our RobotCloud concept based on the cloud computing paradigma, that is a further development of grid computing, and our Castle in the Cloud approach, which proves the stealing of our intellectual properties once and for all (see also the sections Network Technology, Semantic (World Wide) Web, and also Earth Simulation/Virtual Globe of the webpage Links to Software of the website of OntoLinux). We already guess that it is using our Multilingual Multimodal Multimedia interface of the architecture of OntoLinux, and our OntoWiki 1.0 technology as well, so that most potentially in a further planned step our software stack of OntoLinux actually stolen by the Linked Open Data 2 project will be combined with this web platform project. We demand the research institutes to reference OntoLix and OntoLinux, or otherwise their actings have to be declared as an intentionally conducted organized crime. Furthermore, the commercial use of the so-called Robo Earth web platform is not allowed without getting a bunch of licenses from us. We demand the Swiss, the Dutch, and other European public prosecution departments to start investigations in the case of the project Rapyuta due to intentionally and organized conducted copyright infringement. Wir fordern die schweizer, die niederl�ndische und andere europ�ische Staatsanwaltschaften auf mit Investigationen im Fall des Projekts Rapyuta wegen vors�tzlich und organisiert beganger Urheberrechtsverletzung zu beginnen. We also demand the Federal Bureau of Investigation (FBI) to start as well its investigations in the case of the project Rapyuta, so that it has all informations for the upcoming frauds at hand. * We have seen only traditional/classic inductive power transmission solutions, which means that they are not based on strong coupling of the resonators, which are all of the type near-field wireless energy transfer system, some of them are directed and controlled magnetic fieldsm, dynamically adjust power supplied by the transmitter to power demanded by the receiver without or with the need for control systems or communication, as well as supplying power to multiple receivers simultaneously that are placed on top of the transmitter in any position or orientation. We do this all with Wireless Resonant Energy Link (WREL) and Wireless Resonant Power Link (WRPL) as well since the end of 2008 with irail and ipad (irail begins with vehicles that have a velocity of 0 meters per second) and all applications that obviously need such functionalities, so that we have not described them explicitly. We may add additional explanations for claritiy, but only if it is already given implicitly, for sure. So far, the claims by Witricity, Intel, and us have been proven, but not from the car manufacturer Toyota or any other partner of the before named companies that use WREL as we do, specifically for automotive exteriors and interiors, as well as Inductive Power Transmission (IPT) infrastructure. * We have not seen a description of a strongly coupled inductive energy/power transmission system like WREL was integrated with a wireless data/communication network using the same magnetic wave/waves for both before we did it. Indeed, there are manufacturers of inductive power transmission technologies, who does this as well, but in this investigation special we also took a look on this specific feature, and in the end the result is that the other entities have only the traditional/classic solutions. By the way: Simply explained, our solution uses the technology of our irail and WRPL in a slightly different way, so that instead of only using the transmissed power for transforming it into electric power we can also use a fraction of it for data transfer. * We have not seen legal claims for our dynamic or distant charging while in motion with vehicles, and in the case of mobile devices we can't confirm the other claims actually. We also have not seen legal claims for stationary charging by WREL and WRPL in the field of public transport. Our irail is for both types of applications that are stationary and dynamic, because its working range begins with vehicles that have a velocity of 0 meters per second. This specific case was later called ipad for being easier to distinguish. The field of transportation (outside of plants and storages with automatic guided vehicles) was copied from our website, definitely, which is already proven several times. Furthermore, irail stands for intelligent rail and must have specific features to work, that are flexibility and adaptability, but also a data link over a wireless communication/data network for e.g. managing, authenticating, and billing the amount of electric power automatically. Actually, we do not see how this wireless power system can be described in another way, because every attempt has to explain somehow that it works in the medium-field at least, and eventually also without the feature that the resonators must be in the line of sight. Said this, we do not know how other companies can talk about dynamic and distant powering and charging in the medium-field and far-field. And we would like to give a little hint for all defrauding entities: Dynamic charging rules, and without it there is no stationary charging inside and outside a vehicle as well. For sure, a different pick-up coil could be imagined, but somehow we are already there with our wheel pad, rim pad, and rim band/tape pad as well, and the only exception to use the steel belt of a tire/tyre as the pick-up coil is not practical in the end due to several technical, practical, and economical reasons. * Said this, Toyota has to get a license from us as well, despite the fact that it is owning a fraction of Witricity. Furthermore, we prohibit Toyota already today to take any actions or even make any unathorized decisions standardize our WREL based solution, and to use our WREL based solution with products of the company Tesla Motors! We do not and we will not support hidden Ponzi schemes. * The same that holds for Toyota holds for other entities as well, specifically research institutes like universities, the Massachussetts Institute of Technology in the U.S.A., and the Fraunhofer Institute in the B.R.D. to name just 2 of them, as well as other vehicle manufacturers. * We have not seen legal claims related with WREL and WRPL in the field of robotics with the only exception of automatic guided vehicles without battery in assembly plants and logistic storages besides robotic vacuum cleaners at home after a document by the Massachusetts Institute of Technology, though both can't be confirmed by us actually (see also the point about dynamic powering and charging above). * In the same way we have not seen legal claims related with the application of WREL and WRPL for direct wireless powering of stationary devices, like televisions, home theaters, flat screens, digital picture frames, audio equipment and wireless loudspeakers, etc., with the only exception of the classic light bulb or a lamp as an object for the demonstration of the general functioning of the wireless power transmission system, because we see them all as interior elements and so they are only further examples that are already included in the description of our approach WREL/WRPL@Home, which we have created due to the fact that Witricity only talked about powering and charging mobile devices, something unspecified in the industry (instruments), an automatic guided vehicle without battery in assembly plants and logistic storages besides robotic vacuum cleaners (see also the point before). By the way: The robotic vacuum cleaners is not an interior element, but other robots may be that belong to the Hous•E concept, like our Hous•E::RobotFloor, ipaquet, and robotic furniture. * Our Pad Computer is beyond the realm of discussion, and every attempt to promote or sell such a device is directly connected with a copyright infringement. The same holds for all other similar mobile devices, as we have mentioned on the websites of our business divisions OntomaX, Ontoscope, and intelliTablet (includes pad (mobile/cell and smart) phones). * Also, we with the presentation of the model j! and its P@d computer concept based user interface, and eventually other entities presented wireless solutions for recharging the accu of a mobile device in a vehicle. But in our case the wireless solutions are based on WREL and WRPL, that in the latter case even do not require that a mobile device must be laid at a specific position in a vehicle for dynamic charging and powering, as it is needed with other solutions based on common inductive coupling generally and with solutions copied from us. At this point it could be seen as well that this solution was also done by us before others came up with such a solution based on adaptive, resonant, strong and loosely (strong) coupling. * We get more and more the impression that the usual large companies refuse to accept patents by others and our copyright again. We can only warn every entity to develop their businesses on the strategy of making patent wars all the time, because this is a clear sign that they have to be smashed into many tiny corporations by the cartel offices. Alticor→Fulton Innovation: This investigative case has already begun some months ago and its documentation was started yesterday with some few incorrect statements made by the company, but while we were documenting and explaining the related facts, we had to recognize that the whole case is much larger and has the typical signature of a highly defrauding company founded solely on the basis to steal others intellectual properties. In detail, it seems to be that it has stolen our whole Wireless Resonant Power Link (WRPL), and related concepts and applications based on inductive resonant coupling, and in the same way everything that is related with our Beamed Energy/Power Link (BEL/BPL), which we have to investigate, evaluate, and document all once again for seeing the whole picture and massive damage even more clearer. But what we can already say is that there are contradictions in its description and argumentation, some historic facts and new insights about the whole field of wireless energy/power transmission are given, and also we can see no dynamic (re-)charging, as well as an attempt to manipulated the public by confusion, and steal our intellectual properties by for example infringing our copyright, which is strengthened by the fact that a similar attempt was already done in the field of artificial intelligence and knowledge management. But the good point is that we will have a clearer white line in the end, which is definitely different than the red line drawn by that company. On an animated graphic we see "at home", "at work", and "in the air", and on the related graphic at home: cooking; at work: multimedia whiteboard, and eventually multimedia table (our power table); at the cafe; in the air: seat, extending (leaf) table and console between seats. Also, a chart of historical facts (hopefully) is given called "Wireless Power Timeline", which shows us that the company is aware of our solutions in the field of wireless power transmission and does tell us something. But what we see is either contradicting, rendering its patents as useless as well, or is simply confirming our claims. "[...] 1894 - Nikolas Tesla [...] "electrodynamic induction," i.e., wireless inductive resonant coupling [but then ...] 1988 - [...] University of Auckland [...] conclude that inductive power transmission should be achievable [...] Auckland UniService, the commercial company of the University [...] [So what now? Has N. Tesla showed that inductive or not? If not, then no wireless inductive resonant coupling by N. Tesla. ]", "[...] 1902 - Nikola Tesla vs. Reginald Fessenden - U.S. Patent Interference [...], System of Signaling (wireless); selective illumination of [...] lamps, time and frequency domain spread spectrum telecommunications, electronic logic gates in general [Do not be confused, because this is neither related with our Wireless Supercomputer (WiSer) nor with our wave-field technologies and wave-field computing paradigm. ]", "[...] 1962 - William C. Brown publicates article that explores possibilities about micro-wave power transmission. ", "[...] 1964 - William C. Brown demonstrates [...] a microwave-powered model helicopter that receives all the power [Firstly, we are aware of this very specific solutions only in the field of powered-lift aircraft models. Secondly, there is no charging. Thirdly, this is an attempt to steal our BEL, BREL, and BRPL, and also all related applications, like our Raylev solutions, as well, obviously. But we say directly in this case copyright infringement. ], "[... Power Beaming of solar power from space ...; See the picture of the Powersat Receiving station (Rectenna) presented as Original vs. Inspiration on the 15th of April 2008. For sure, we paid attention to this and to other solutions when we described our BEL, BREL and BRPL, as well as their applications, like Raylev and so on, and that we do not claim for BEL in general at all. ]", "[...] 1989 - Daifuku [...] Auckland UniService [...] car assembly plants and materials handling providing challenging technical requirements including multicipity of vehicles [What kind of vehicles? From the context we see only automatic guided vehicles without battery besides robotic vacuum cleaner after a document by the MIT, though both can't be confirmed by us actually. ], "Auckland UniService [-] 1990 - [...] multiple vehicles to run on the same inductive power loop and provide independent control of each vehicle [...] [What kind of inductive coupling? ]", "[...] 1998 - Alitcor [...] demonstrates wireless power technology to power the ultraviolet lamp in their [...] Water Purification System [and ...] 2001 - Splashpower [...] Uses coupled resonant coils [...] to transfer tens of watts [...] into a variety of consumer devices. [This seems to be true, but it has nothing in common with the applications and consumer devices we are talking about here, but only with water purification, as we do understand the informations given on the website of Splashpower. Besides this, there is no information given if these consumer devices were used one after the other and with specifically configured wireless power systems. ]", "Auckland UniService [-] 2002 - U.S. Patent Office grants first wireless power patent to Alticor [...] [So what now? What kind of relevant invention could be made at all, if the relevant technologies seem to be made years before? ], "First Wireless Power Patent [-] 2005 - [...] University of Auckland [...] refines 3-Way [Inductive Power Transmission (]IPT[)] Highway and pick-up systems allowing transfer of power to moving vehicles [So what year now, first patent by the University of Auckland in the year 2002 or 2005 (see the quote before)? Also, the vehicles have no battery. Furthermore, a related company Halo IPT was bought by the company Qualcomm (see its case below), and we do know that the Halo InductivePowerTransmission used by bus lines in Italy and the V.R.China, as well as by the manufacturer Bayerische Motorenwerke for its clone of our Phantom-E/Electric Phantom Coupé is a traditional and not strongly or loosely (strongly) coupled inductive system, as the WREL and WRPL technologies. ], "[...] 2006 [...] establishes Fulton Innovation LLC to develop and licence [its] wireless power technology. [... and ...] 2007 - [the company] launches intelligent wireless power transmission [Was it really intelligent and what kind of intelligence is at work? We say that this was no intelligent management, but a more complex electric circuit only. ]", "[... Massachusetts Institute of Technology (]MIT[) -] 2007 - [...] confirms the earlier (1980's) work [of the University Auckland (see above) ...] at a 2 meters distance [...] [But what was deliberately not said is the difference of both inductive systems at the two research institutes, which in the case of the MIT is the system by its spin-off Witricity that we also call Wireless Resonant Energy Link (WREL). ]", "[...] 2008 - Intel reproduces Nicola Tesla's 1894 implementation and [University of Auckland]'s experiments in 1988 [Firstly, we would like to clarify that Intel is the research partner of the MIT. Secondly, we do see here the attempt by the company Alticor→Fulton Innovation to argument that the system by Witricity and Intel is in fact the old system by N. Tesla of the year 1894, which would render the related patents as invalid, but not our applications at home, at work, at vehicles of all kinds, mobility, architecture, inside and outside, and so on, as well as our whole WRPL technology. But somehow this is suspicious, because there is a physical difference to all other (resonant) inductive power transmission systems with high power output that we have known before WREL, and which have the giant problem of being dangerous for living beings due to the applied physical principles that lead to huge magnetic radiation, and that this problem was the reason why it was not used for solutions that need much electric power. This is confirmed by researchers in the field of engineering since many years, and also one of the main reasons besides the possibility that it works over distances of several meters and has a higher efficiency, why we saw directly the advantages and the breakthrough in the fields of electric and hybrid vehicles as well as for many other applications by WREL. Thirdly, the attempts and filed patents by companies like Qualcomm and Samsung, and their Alliance for Wireless Power, as well as by the company Apple point all to the solutions by Witricity, Intel, and us, and in this way tells us something different. Said this, our readers should simply ask theirselves, why nobody took the invention by N. Tesla in more than 120 years, and accept the answer that N. Tesla's inductive power transmission solutions as well as the other solutions were different than WREL and WRPL. ], "[...] 2008 - [a company] introduces their [...]charger pad. [From the website of the referenced company we got the additional informations that its pad "is the first universal wire-free power platform of its kind to simultaneously power multiple devices" and "Compatible with over 1000 Devices! For use with assortment of WildCharge-enabled mobile electronics including phones, MP3 players, gaming devices, eReaders, cameras and many more!" besides the jump on our Pure Theme and the concept of a starter kit consisting of a wireless power pad and a mobile device. But it is not intelligent or adaptive, or otherwise the system of Fulton Innovations presented in the September of 2012 is not an innovation at all. Once again, we see here an attempt to attack our solution, in this case related with technical explanations given in the description of our P@d 2.0. Furthermore, both companies do not list the other company as a partner.] "[...] 2008 - Bombardier offers new wireless transmission product [...,] a power system for use on trams and light-rail vehicles. [Firstly, we document the case of the company Bombardier in our Investigations::Car #346 of the , but not in full detail because it applies the 7th of February 2012. Secondly, do not be fooled by that company that wants to confuse the public in relation with our irail with this information. Thirdly, by this acting and with this point we get the next evidence that the company Fulton Innovations does know our solutions very well, as well as next prove that it has a problem with our intellectual properties, and also that indeed it is coping everything from our websites illegally. ]", "[...] 2008 - Fulton Innovations aquires Splashpower [It is the company that does water purification. With this takeover now direct connection of the two different technologies and their applications is given. ]", "Texas Instruments [-] 2008 [...] partners [...] to become a chip set supplier of [its wireless power transmission] technology [This has nothing to do with our concepts and applications, especially in this specific case with our WiSer for example, as the point related with logic gate might give the impression (see the related quote before that starts with "[...] 1902"). ]", "[...] 2008 - [a company] wins [...] Innovation Award for demonstrating use of [Fulton Innovation's wireless power transmission] technology in commercial vehicles. ", "[...] reaches 100 patents for [its wireless power transmission] technology [...] [So why is this chart presented at all? Obviously, its patent portfolio does not conver the WREL and our WRPL, as well as our applications of these wireless power transmission systems. ]", "[...] 2010 [a company] launches "Plugless Power" electric vehicle charger, which will eventually use "proximity charging" technology to charge up electric vehicles. [If this is related with inductive resonant coupling or dynamic charging, then either the referenced company comes over 1 year too late due to our irail and ipad, or the question is raised why exactly this point is so important to mention by the company Fulton Innovation.]". We have also the following facts: Wireless data transfer is also mentioned. As far as we know system for New Zealand not resonant. The defrauding patent filling by the Stanford University is not listed in its chart. The media reports about dynamic charging by the important companies inclusive Halo IPT from New Zealand owned now by Qualcomm years later. The wireless pad by Nokia for its smartphones, which is a Qi system needs correct positioning. The company Fulton Innovation has no intellectual properties, because otherwise it would clearly say what is going on, but several of its webpages say in the end nothing that renders our explanations as wrong. Stay away from that company, if the interest is different than near-field wireless power transmission by inductive resonant coupling based for not having any complications with our copyright. By the way: That again the companies Robert Bosch and Google→Motorola are partners of such a company and that Qualcomm and Samsung (see their case below) are members of its Wireless Power Consortium should be no surprise anymore, but also raise deeply going question about their qualification to take part in the competition. We demand the worldwide media and corporations not to report about and to advertise the so-called one-to-many and adaptive resonance features, and its application in the fields of vehicles and architecture of the wireless energy transmission(/supply) system by the company Fulton Innovation and the Wireless Power Consortium, because our copyright in conjunction with the descriptions of these concepts and solutions, especially of our technologies Wireless Resonant Power Link (WRPL), irail and ipad as well as WREL/WRPL@Home, Hous•E::RobotFloor/RobotGround, and iparquet, has been infringed already and will be infringed further on. Wir fordern die weltweiten Medien und Unternehmen auf nicht �ber die sogenannten Eigenschaften Eins-zu-viele (und adaptive Resonanz) des kabellosen Energie�bertragungs(/-versorgungs)system des Unternehmens Fulton Innovation und des Wireless Power Consortiums zu berichten und zu bewerben, weil unser Urheberrecht im Zusammenhang mit den Beschreibungen dieser Konzepte und L�sungen, insbesondere von unseren Technologien Kabellose Resonante Energieverbindung (KRE)==Wireless Resonant Power Link (WRPL), irail und ipad sowie WREL/WRPL@Home, Hous•E::RobotFloor/RobotGround und iparquet, bereits verletzt wurde und weiterhin verletzt wird. Apple: It is said that the company filled a patent in 2010 about the WREL system. Qualcomm and Samsung: Both companies are already members of the Consortium for Wireless Power, which they hijacked by taking over other companies (see the cases of the subsidiaries Qualcomm→WiPower and →Halo IPT below), and now have joined for their own Alliance for Wireless Power with its eventually still unpublished standard. Furthermore, from a report in the media we got the information that "distance charging is its unique selling point, allowing gadgets to top up battery power from inside a pocket or as one walks around an office. It's an argument so compelling that the competing Consortium for Wireless Power [(see also the case of the company Alticor→Fulton Innovation above)] promptly extended its standard to encompass the same idea". But from another source we also got the technical explanation that this power transmission system is related with the solution by Witricity and Intel, and also by us. Qualcomm→WiPower: The subsidiary was founded in the year 2004 in the U.S.A. and acquired by Qualcomm in 2010. The technology was developed from 2004 to 2007, and it is said that the subsidiary filled a patent in 2008 about the Wireless Resonant Energy Link (WREL) or a similar system. But what we have seen of the relevant aspects of the patented technology shows that it is different than the strongly coupled (WREL and BREL) and loosely strongly coupled (WRPL and BRPL) wireless power transmissions, which reflects on the utilizations of the transmission system as well. 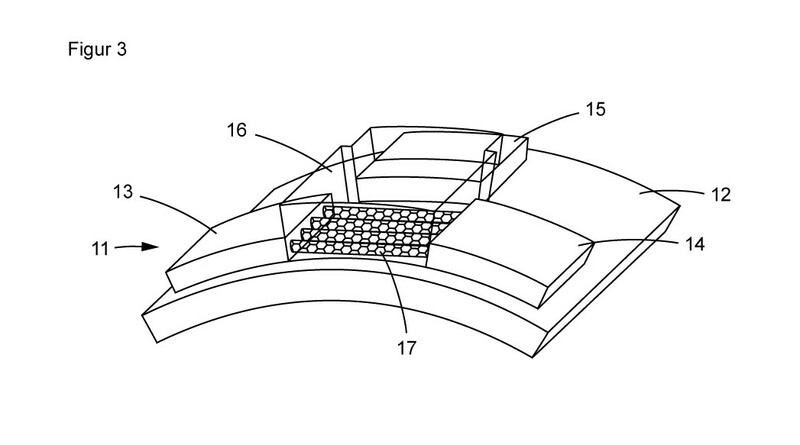 It is also said to be the prominent patent together with intellectual properties by the company Samsung of the Wireless Power Consortium, that attacks Witricity and Intel, but also us on the one hand and Apple on the other hand. Qaulcomm Halo IPT: The company Qualcomm has bought a company that produces a wireless energy/power transmission system for automobiles that is based on the principle of coupled induction. The problem with this is not the wireless energy system itself, as long as the text passage "[...] to gain a clear understanding of their requirements in order to configure a system to meet the OEM's specific needs and performance parameters. These parameters include: Operating frequency [...;] Z - Vertical offset tolerance[;] X/Y - Horizontal offset tolerance [...]" is not meant as a tuning in the sense of the strongly coupled resonator principle applied with our solutions irail and ipad, but arises if the utilization of its system as dynamic charging respectively functioning like a toy (slot) car racing track or a suburban railway used in public traffic (see also our "Who has invented it?" Question #11 of the 7th of December 2012). A further problem is the fact that it has infringed our copyright as well, by mentioning our E-Luxury model Electric Phantom Coupé respectively Speedster based on the models Phantom Coupé and Drophead Coupé by the marque Bayerische Motorenwerke→Rolls Royce, which was illegally copied by the manufacturer Bayerische Motorenwerke featuring a wireless inductive static charging system (see its related case in the Investigations::Car #311 of the 1st of March 2011 and #313 of the 3rd of March 2011) as well as our model D!, which has been copied in the version with a combustion engine by the company Lola and the manufacturer Aston Martin (see their case in the Investigations::Car #119 of the 13th of June 2009), and more important in relation with this investigative case in the version with an electric drivetrain again by Lola and Aston Martin together with a further company (see the Original of the 22nd of February 2008 that also mentions the 2 turbines used for the generation of electric power). Both models are plagiarizations based on our copyrighted concept and model descriptions and even more criminal actings, and the company Qualcomm has to respect our copyright as well. Finally, we would like to document that it has copied several speech acts from our websites like "vision", "simplicity", "system architecture", and so on, and that we have not seen a resonant solution nor an irail, Rim Pad and Wheel Pad. Wikimedia Foundation→Wikipedia: On the webpage that describes a wireless resonant energy link system by another company we found the sentence "In April 27, 2011, car maker [...] made an investment in [the said company]. 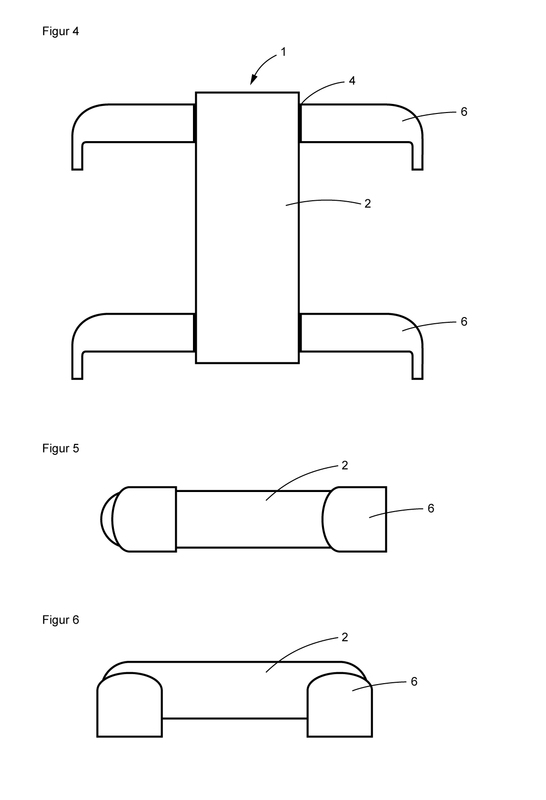 ", which we see as a copyright infringement, because the sentence was deliberately publicated, so that readers will think that the wireless resonant energy link system is used for cars as well, but this is our copyrighted description of our irail and ipad solution for stationary and dynamic charging that even unveiled the illegally filed patent of a defrauding university in the U.S.A..
Stanford University: We looked at its defrauding case a further time (see the Investigations::Car #345 of the 6th of February 2012) and found out that on a video a model by the manufacturer Tesla Motors is shown, which matches exactly with the cases of the manufacturers Toyota and Daimler, which both are shareholders of Tesla Motors and also have projects with the company Witricity of which Toyota is a partner company. Korea Advanced Institute of Science and Technology (KAIST): The research institute has constructed a 12 kilometer/7.5 miles long electric road for dynamic power supply and recharging of vehicles that is based on a technology called Shaped Magnetic Field In Resonance. Because this technology is in the end nothing else than an inductive system with coupled resonance of electromagnetic waves, it is our irail technology, and hence we have here the next copyright infringement. We demand the worldwide media and corporations not to report about and to advertise wireless energy transmission, supply or/and charging systems with medium-field or/and far-field feature by any entity others than the owners of related intellectual properties for preventing damages, like infringements of our copyright in conjunction with the descriptions of these concepts and solutions, especially with our technologies Wireless Resonant Power Link (WRPL), irail and ipad, as well as WREL/WRPL@Home, Hous•E::RobotFloor/RobotGround, iparquet, and further solutions. Wir fordern die weltweiten Medien und Unternehmen auf nicht �ber kabellose Energie�bertragungs, -versorgungs, oder/und -ladesysteme mit Mittelfeld und Fernfeldeigenschaft irgendeiner anderen Entit�t als den Besitzern entsprechender intellektueller Eigent�mer zu berichten und zu bewerben um wirtschaftliche Sch�den zu vermeiden, wie Verletzungen unseres Urheberrechts im Zusammenhang mit den Beschreibungen dieser Konzepte und L�sungen, insbesondere mit unseren Technologien Kabellose Resonante Energieverbindung (KRE)==Wireless Resonant Power Link (WRPL), irail und ipad sowie WREL/WRPL@Home, Hous•E::RobotFloor/RobotGround, iparquet und weiteren L�sungen. We demand the administrations of metropolis like e.g. New York City, U.S.A., and London, U.K., to enforce that their providers are accepting and following the valid laws and eventually cancel contracts already signed in the past. General: The first preview of this investigation was presented on the 27th of July 2012. While the case of the company Pixel Qi was planned by us since it suddenly has become the deliverer of the display of the first laptop computer by the One Laptop Per Child (OLPC) project, because we found some conspicious statements already at that time related with our projects of the Innovation-Pipeline of Ontonics, the case of the criminal acting by the company Neonode came to the surface with the attempt to produce a new computer version with multi-touch functionality for the OLPC project. Pixel Qi: We saw some highly discussible, and most potentially infinging statements on its website that are related with the question how much it misleads the public by using and referring to the e-paper. "[...] [...]", "[...] [...]", and "[...] [...]". Neonode: We are exactly looking what it has taken, because due to the further developed functionality of its light based 2D touch solution for displays, specifically into the 3rd dimension, it seems to be related with our MobileKinetic, and in this way with our P@d 4.0. The technology is also related with our Multimodal Multimedia User Interface (M²UI) of OntoLinux and in this way with all of our hardware solutions, like our e-dashboard, e-door@Home and eVSG/eLSG. We also can see that we have a problem in relation with multi-touch in interiors of vehicles. Furthermore, as part of its copyright infringement it has also stolen our trademark SenseTouch with the term "MultiSensing Touch respectively multi sensing touch" and the phrase "sense enabled touch", as well as our slogan "It makes sense" from the webpage of our Active Sensors components by Style of Speed. We also do quote some text from its website, because a quick view already proved that it knows and has partially reflected the contents of our websites: "[...] [...]", "[...] [...]", and "[...] [...]".